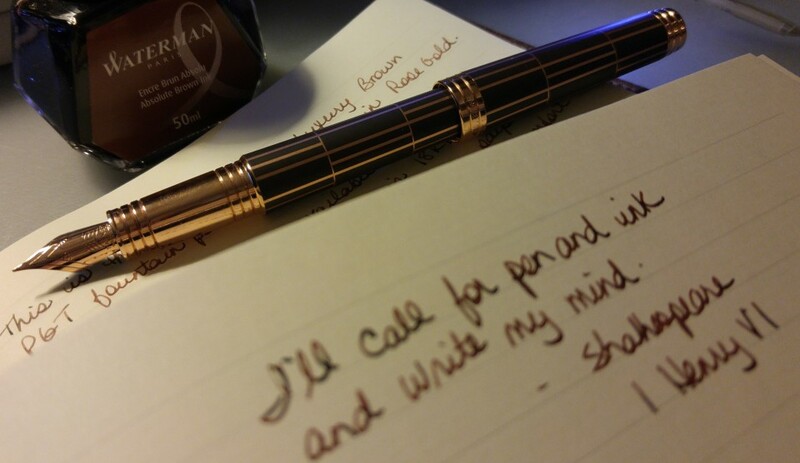 So the folks over at Fountain Pen Geeks launched an initiative last year called InCoWriMo (a nod to NaNoWriMo of course) to celebrate International Correspondence Writing Month. They even launched a separate website. You simply agree to hand-write a letter, note or postcard every day for the entire month of February. They have a list of participants already who would love to hear from you, ranging from the sponsors of the event to the CEO of Lamy! Anderson Pens, the aforementioned sponsors, even have these nifty InCoWriMo writing kits. Love the bowtie notecards. I have signed up to do it and I can’t wait! Of course I will have to spend money on postage but I have enough paper and ink to get me through. Check out this video and join us! Will this be your first time or did you do it last year? This will be my first time. I think I might mail all 28 on Feb 1, if I can get them all written. Join up on the FPGeeks forum or the InCoWriMo site!